Take advantage of skiing in the Lower 48 and visit Mt. Hood's Timberline for fresh tracks and freestyle terrain. 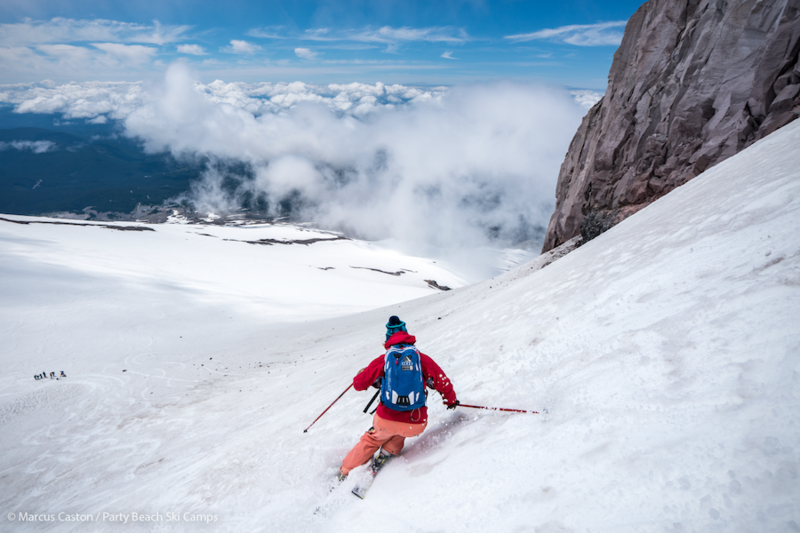 If your Facebook and Instagram feeds are stocked with ski-related news then you know Mother Nature has spoiled Oregon with snow in the high country this summer. And while the rest of the Lower 48 is experiencing what NASA predicts will be one of the hottest summers on record, ski hounds are flocking to Mt. Hood's Timberline to escape with fresh turns and cooler temps. After a few practice rounds on Magic Mile, head farther up the mountain to Palmer Snowfield for more freestyle terrain. Depending on the snow conditions, you can hit anything from jumps and banks to rails and boxes. The freestyle terrain at Palmer is recommended for advanced skiers and riders only. If skiing park features isn’t your forte, you can still enjoy Timberline’s 2,616-foot vertical drop. Plenty of intermediate terrain is available off of the Magic Mile lift. If the weather is just right, an inversion will hit and you can spend the day snapping pics of you skiing above the clouds. In addition to summer skiing and riding, Mt. Hood's Timberline Lodge runs ski camps all summer long, including Marcus Caston's Party Beach Ski Camps. Various ski and snowboard teams rent areas of Timberline for summer training camps so be sure to call ahead to find out what terrain is open to the public or if there's still time to register for summer freestyle or race camps. Just like skiing or riding during winter months, weather is always a factor. High winds or a sudden storm is always possible. Check the local weather report to dress accordingly. Take advantage of just a short walk to the lifts and stay at Timeberline Lodge. Not only will you escape the summer heat by staying at the lodge, you'll also get to enjoy the architecture as it's a National Historic Landmark. Most visitors choose to fly into Portland and drive or take a shuttle to Timberline. Find information about travel times, shuttles, and different routes here.